Life Beyond the Pale or Is Living the Dream just a Fantasy? The phrase “beyond the pale”, according to the Urban Dictionary, dates back to the 14th century, when the part of Ireland that was under English rule was delineated by a boundary made of such stakes or fences, and known as the English Pale. To travel outside of that boundary, beyond the pale, was to leave behind all the rules and institutions of English society, which the English modestly considered synonymous with civilization itself. It’s commonly held meaning is behaviour or a lifestyle that is unacceptable; outside agreed standards of decency. It’s a term often used about those who choose to live in the Orient in certain circles. The price we pay for a life of our own choosing may be criticism and one may often find oneself defending the choice to live in Thailand by citing the food, accommodation, cheap hotels and friendly people and if one is bold enough, the beautiful women as our reason, but is it true; are we truly living a dream worth defending? 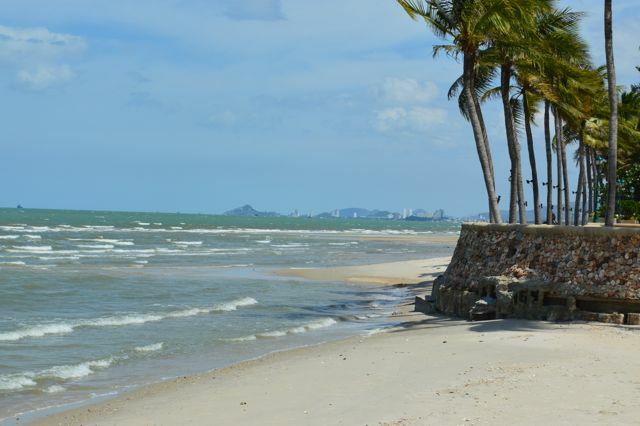 Sitting in the Dusit Thani hotel, Hua Hin, Thailand seems like the perfect place to reflect on some observations that Annie and I made about life in Thailand while on our travels in Great Britain last month. Ironic isn’t it? Perhaps one needs to be away from one’s home culture in order to observe it dispassionately and one needs another culture to compare alongside it. 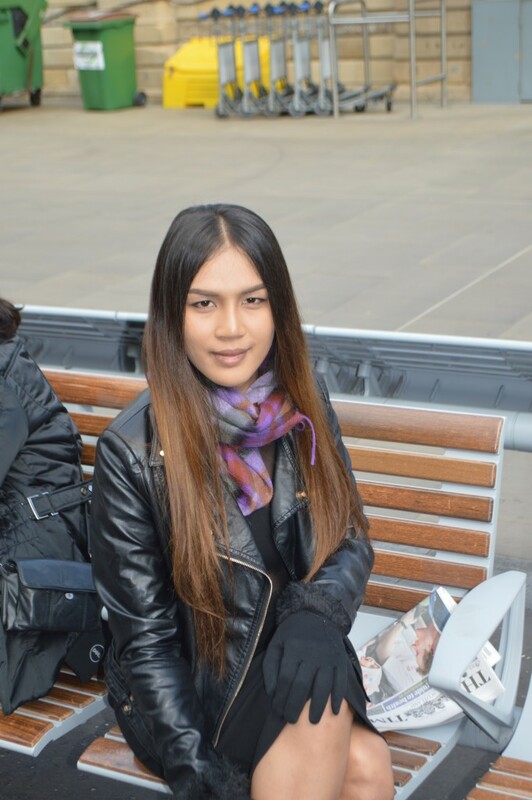 I imagine there are still people who would consider my relationship with a Thai ladyboy or simply the fact that I live in Thailand to be ‘beyond the pale’. I had very little idea how people in Britain would respond to Annie and I. In Thailand, British and Australian visitors are always very friendly but going home to Britain could be a different experience. The views from the large balcony attached to our splendid room are beautiful; green palm fronds dappled with sunshine reflect in the water below. 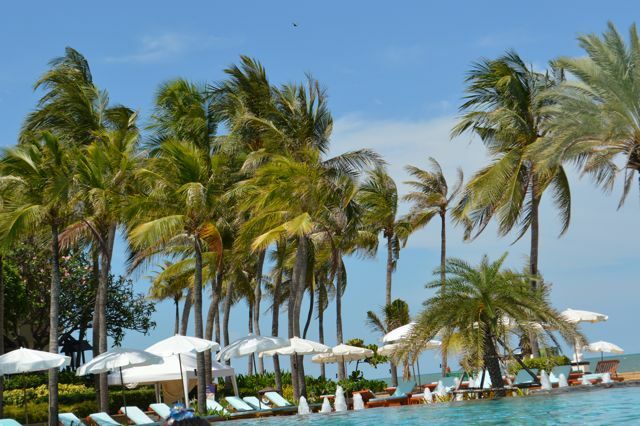 The beach with brightly coloured umbrellas is a few steps further from our room than the garden and pool bar. The trees are alive with tropical birds I have never seen or heard before. I am drinking Chivas Regal and sitting in a rattan lounger with my feet on the matching stool. I am immersed in five star luxury. But the hotel cost less than sixty pounds a night and that is the point. Traveling back to Britain is not an event I am bound to reproduce more than once in a blue moon. I had not returned after arriving in Bangkok in October 2010. Because of this I was more inclined to spend a little more money to travel with a degree of comfort. Believe me when I say that there have been many times when the expense of this journey at its most basic would have been beyond my means but right now I can afford a more comfortable ride. To those of you contemplating a move to Thailand, I believe planning or at least thinking about the cost of international travel is important. It can prove out of reach despite the cheaper cost of living in Thailand. Flights home can be expensive and it’s an unavoidable expense. In general though, travel is one area in which Thailand has the west beaten into submission on sheer cost alone. Bangkok has the BTS or Skytrain and the MRT or Underground that is modern, clean, rapidly expanding and cheap. The most expensive journey costs about 50 baht or a little over £1.00 for one journey. A ‘one day pass’ costs 100 baht. The London Tube costs about £7.00 for an average journey from Hammersmith to Waterloo and back. Bangkok taxis are much maligned for the service offered by the driver but not for the cost. A long journey from the low Sukhumvit area to somewhere like Rangsit, a northern suburb will only cost about 200 baht (£4.00) whereas a taxi from Paddington to Hammersmith, a distance of 4 miles will cost you £18.00. Outside of London taxis are only a little cheaper. York Railway Station to Bootham Bar (1 mile at most) cost me £4.50 and the trip of about 6 miles from Ingleton station to Ingleborough cost £12.50. Buses both large and small have a justifiably bad reputation in Thailand for dangerous driving and for being old and unsafe but they are undisputably cheap. The Lust Bus from Bangkok to Pattaya is only 122 baht! V.I.P buses with a better reputation travel to the islands and the north-east and are also very cheap and pretty comfortable. Buses in Britain; you must be joking. Two words; dried vomit. Trains in Thailand are ridiculously cheap. 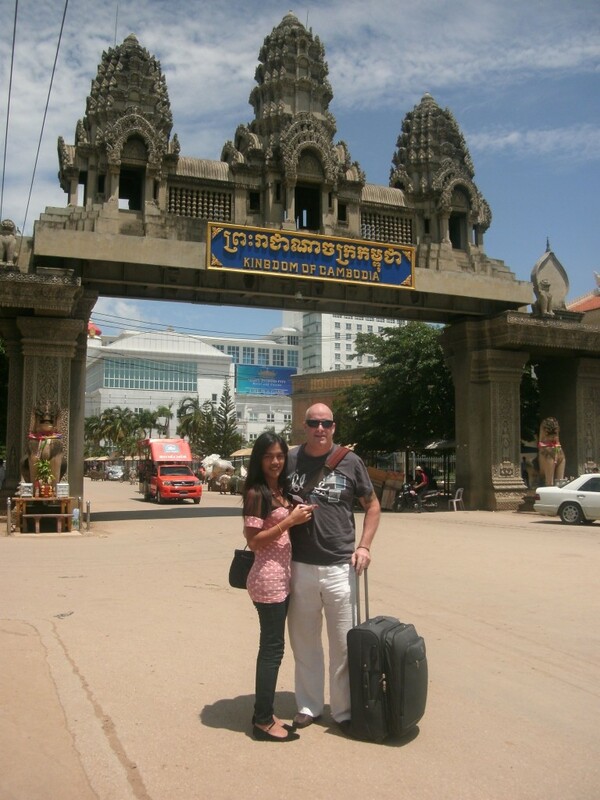 Annie and I once went to Cambodia from Bangkok by train and it cost 35 baht. She has never forgiven me for that. A more representative journey in Thailand may be Bangkok to Chiang Mai, 688 km, on a sleeper train, 1st class. The cost is about 1,500 baht or £30.00 each way. We traveled from Edinburgh to Bristol, 600 km, by first class rail and the cost was £200 or 10,000 baht each. There was no comparison in terms of ease of travel and value. Thailand wins the travel stakes easily. It’s not just that travel is cheaper, it’s better, more frequent and easier to use. 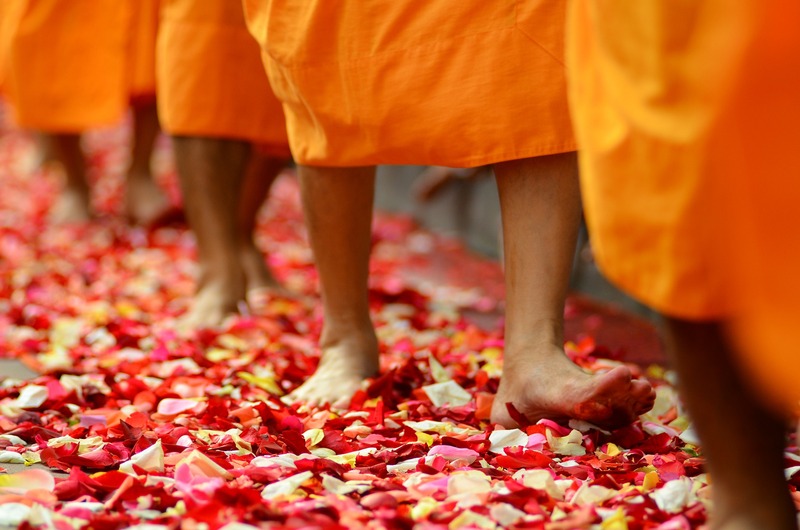 Ease of living is a phrase I often use to recommend Thailand as a place to visit or stay. This is the closest I can get to the Thai word, ‘sabai’ or phrase, ‘sabai jai’, meaning ‘ease of heart.’ This is a nebulous but crucial aspect of living here and all Thai people endorse its inherent meaning. One has to choose foreign friends with care in Thailand as not all expats sit easily within this Thai frame for living. Trying to describe what it means is difficult so perhaps some examples that embrace the larger meaning may help. A habit I found annoying when I first began living here was that of Thai people to simply turn up at a bus station or train station hoping to catch a bus north or south usually on a very long journey. In the west we tend to plan journeys like that. I don’t think many people would travel from London to Edinburgh without booking in advance. In my experience, at least, Thai people don’t tend to plan activities. 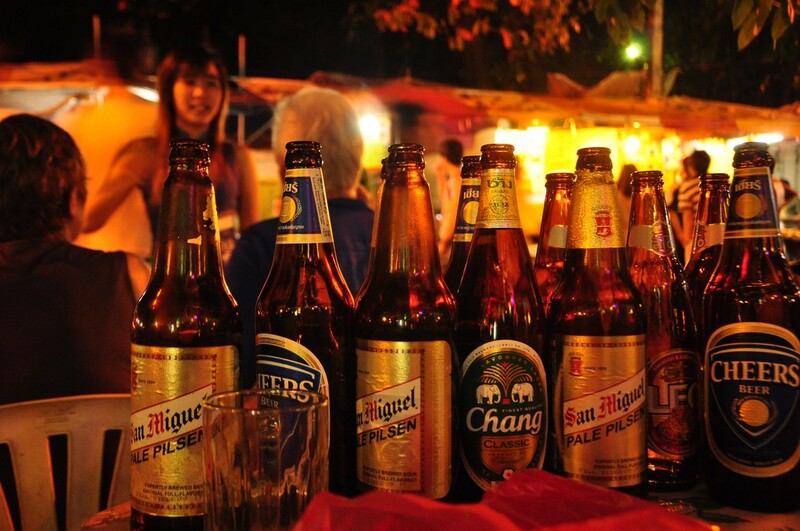 It can be annoying when people simply turn up without calling first but it’s also a kind of refreshing and holds the key to adjusting to life in Thailand. To be successful here in Thailand it’s important to ‘let go’ of things and ‘take the heat’ out of our daily lives. Thai people do not tend to rush very often. This was a habit that used to annoy me. Being held up behind a group of Thais sauntering along the pavement when you are in a hurry can be frustrating. Today, I have adjusted to the Thai way of life and although as a westerner I sometimes get annoyed at the laissez-faire attitude, I am definitely less stressed by it or by the western way of living. Arriving at Heathrow airport I aimed a video camera at Annie as we walked towards the baggage reclaim area and asked her how she felt to be on British soil. Before she could answer it became apparent that we were going to slow down the mass of people approaching us in a hurry from behind. Their faces were set and they were brisk on their way to wait for their baggage. This was the moment I realised I was no longer in Thailand. I found it amusing and told Annie she should move aside and let them pass as British people take rushing to be first, even if they then have to wait, very seriously. The camera was still running and as I was speaking a man who passed us turned and walked over to me demanding to know ‘who you talking to’. What a re-introduction to Britain! The tube journey from Heathrow to St. Pancras on the Piccadilly line was a worrying precursor to travel in general in Britain. The carriage seemed so narrow in comparison to the Bangkok BTS and the stench of sweat, tobacco and booze must have soaked into the fabric seats or maybe it clung to the people in the train? Everywhere we looked seemed shabby, scruffy and dirty. 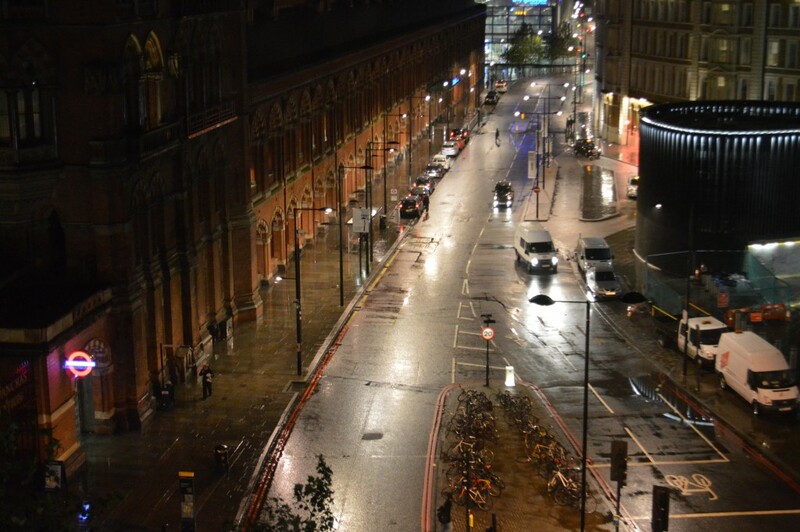 London was not impressive. We stayed in a variety of accommodation in Britain, from 4 star hotels to a Yorkshire B & B. The Megara Hotel in St. Pancras was our first stop followed by a pub/hotel in York which was adequate, a B & B in the Yorkshire Dales and the Carlton Hotel in Edinburgh. Apart from the B & B I never saw a single service worker; waiter, cleaner or receptionist who was British. I chatted to a French shop assistant in Edinburgh who explained that in his two years in Scotland he had never been out of work. So why is there so much unemployment in the UK? Why aren’t British people doing those jobs? Having been away for a while I had forgotten the peculiar form of accommodation that is the British bed and breakfast or guest house. 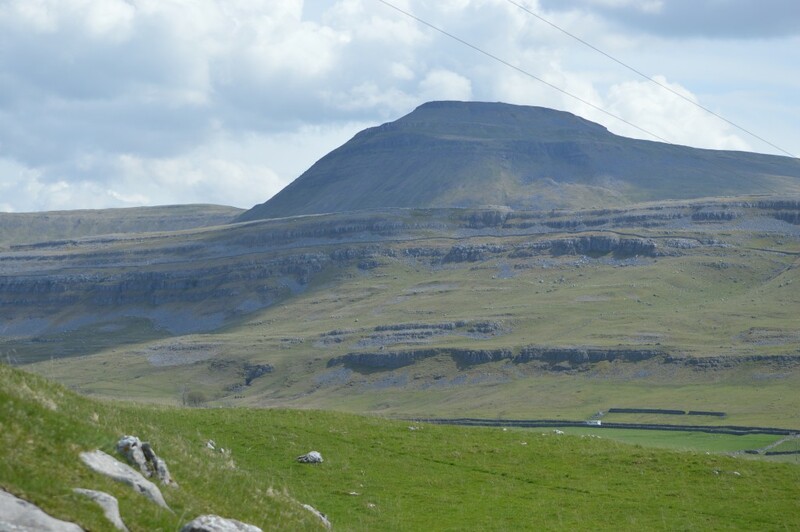 The small Dales villages have lots of these places frequented by walkers and the like. Unlike the bustling atmosphere often found in hotel receptions, on entering our B & B a kind of hush descended. We felt oppressed into whispering, even to each other. The room was so small it was impossible to walk around the bed and yet we were paying £70.00 per night. The first time we went out we found a yellow post-it note on our return asking us to ‘Please turn off the bathroom light when you go out’. It’s not that there was anything wrong with the place it’s just like being in someone else’s house under sufferance! 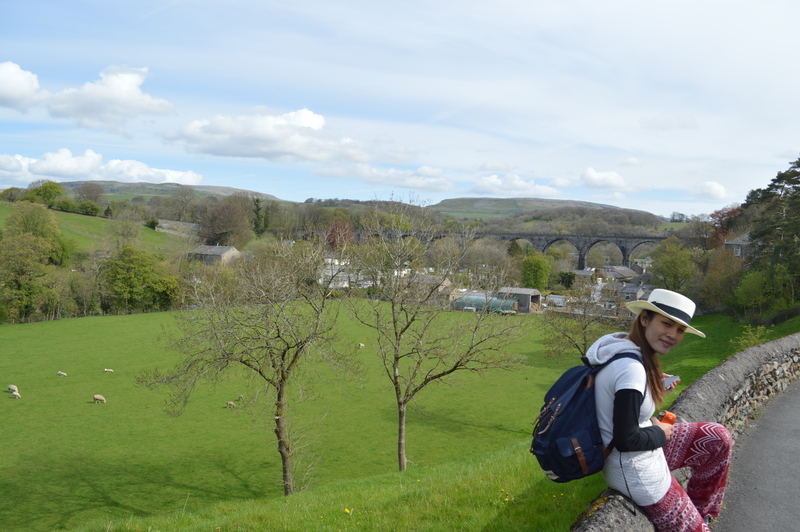 Yorkshire and Scotland have incomparable places of dramatic, natural beauty and some pretty interesting and some awful cities but it was the countryside I enjoyed most and miss while living in Thailand. Walking, running or exercising a dog, cycling and motorcycling in the countryside through woods, up hills and mountains just cannot be done in Bangkok. Britain has beautiful countryside and a climate that supports outside activities. In Thailand it’s a little humid and uncomfortable. Bangkok has some green places but I have yet to find a comparison for the beautiful places in Britain. While Thailand scores highly in ‘sabai-ness’, Britain has a more varied and ‘outdoorsy’ environment. It’s pretty expensive to live anywhere beautiful in Britain and who wants to live somewhere unpleasant. Thailand on the other hand affords a better standard of living on a much more humble budget. When I left Britain I was holding down a managerial position in the university sector having trained as a performing artist. I have an Masters degree, a teaching certificate and more than 20 years of experience. I was earning about £34,000 per annum. After tax and deductions I earned about £25,000 or approximately £500.00 a week. In 2010 the national average salary was £26,000 per annum and after deductions about £330.00 per week. I believe that my situation was not too removed from the general experience as although I earned a little more than some, I raised two children on my single wage. In Thailand my first job paid a lot less and this is a consideration one has to make. It can take awhile to find a groove here even with impeccable qualifications and experience in one’s field. Today I earn approximately 850,000baht per annum after deductions or £16,100 per annum, £310.00 per week. Quite a difference, but how is this figure affected by the cost of living in Thailand? A cold morning on Bentham railway platform in North Yorkshire. Another day and another platform. Waverley Station, Edinburgh. There are lots of blogs about ‘Living like a Thai’ or ‘How much do you spend a week?’ I believe the two factors that make the biggest difference and that make living in Britain expensive and are the most advantageous to ex-pats in Thailand are accommodation and travel. Here’s why. Back in 2010 my mortgage payments had reached £700 per month. With fairly typical house prices in the UK standing at around £250,000 mortgage repayment figures can be as high as £1100 per month today. My house was pretty average but in a good area across the street from a big park. The value of the property today is about £180,000. Here in Bangkok I pay 17,000 baht or £322.00 per month for a 2 bed apartment with views of the river, two swimming pools and a gym. In the past I have paid between 8,000 baht and 15,000 baht for apartments in Bangkok but there are cheaper options still. In contrast, during our recent visit to Britain I noticed that for a similar size apartment in Hammersmith with no swimming pool or gym the monthly rental was approximately £1200! In 2010 I rented a somewhat dingy bedsit for my son to use while he studied at college and the rent was £320.00 per month. Housing is expensive in Britain. 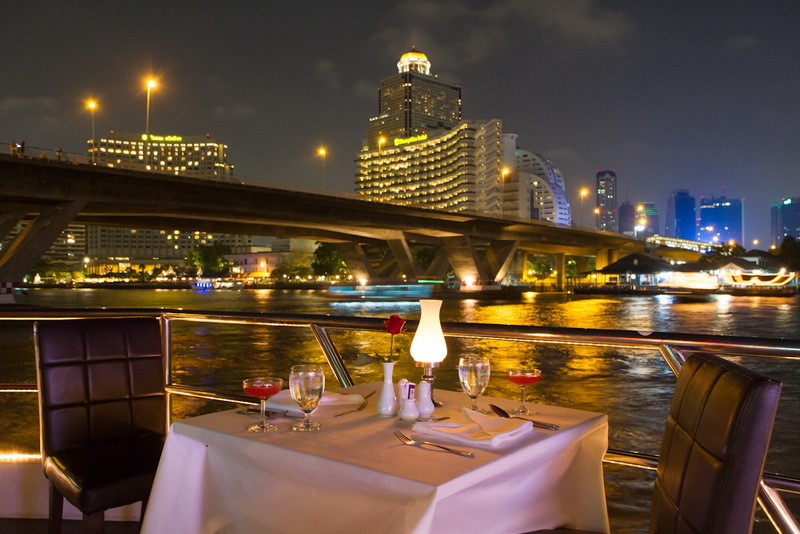 A River Cruise Dinner costs about 1200 baht or £22.00 per person. Hey look, we can see our house from here! Annie and I eat out in restaurants quite often in Thailand and a typical meal for two may cost approximately 1200 baht or £24.00. In Edinburgh eating in a comparable restaurant Annie ordered a summer pudding that cost £9.00! However, if one looks around it is possible to find good lunch and dinner deals in Britain. The White Horse on Edinburgh’s Royal Mile next to Gullans Close is a small pub but the food was surprisingly good. Annie ordered a Thai green curry and I ate Haggis, Neeps and Tatties. It was so good Annie thought the Thai food better than on her native soil and it cost only about £12.00 including drinks. Pub grub is very diverse and usually a great deal in Britain. Supermarket food is no cheaper in Thailand than Britain but Thailand has fresh food markets or ‘talads’ around every corner which are much cheaper. Western food is expensive in Thailand. A sandwich from Au Bon Pain costs about £4.00. 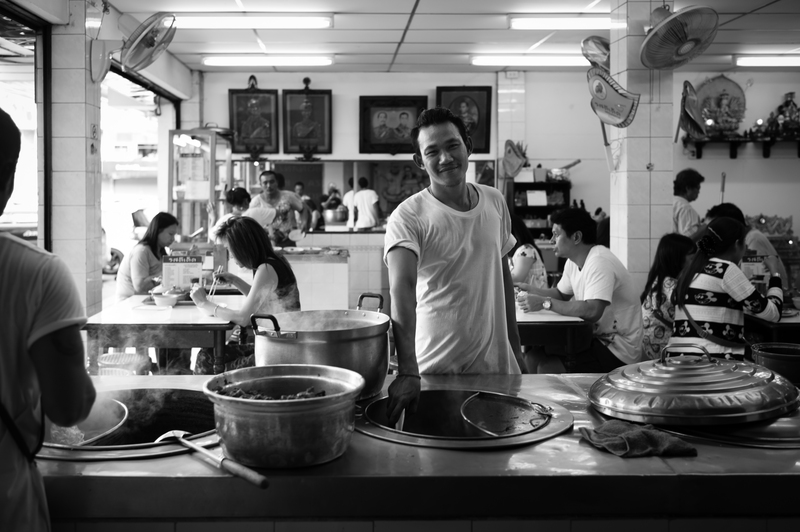 This Noodle shop will serve you with Tom Yam Kung, Giao, Bumi or Nam Tok for about 40 baht a dish. The real gem as regards food in Thailand is the diversity and availability of street food. A meal like Moo tod katiem (garlic pork with rice) costs between 35 and 50 baht and will be cooked from fresh ingredients while you wait. Lots of fried and grilled food is available at different locations; grilled pork, fried chicken, kebabs and noodle dishes of all kinds are delicious and cheap. Fresh fruit is also on sale, sliced and bagged for about 20 baht a throw. It’s not difficult to spend only 200 baht or £4.00 a day on food. Somebody I know well spends only £30.00 a week on food and lives well. Beer is NOT cheap in Thailand. When I first arrived here back in 2010 my first job paid the grand sum of 29,000 (600.00) baht a month. I ate street food every day either sitting in small food shops, I hesitate to use the word, restaurant, or sat on the floor of my ‘apartment’, a one room dwelling across the river costing 8,000 baht (£160.00) a month. I managed to drink beer most days and have a social life but I could not really afford to buy many clothes etc. The point is, I had no choice. I got to see how the poor of Thailand live. One cannot hide from this and I learned to appreciate how much it really costs to live here, but it was not easy at first. Thailand is essentially divided into two groups of people. The descendants of Chinese grandparents who make up the ruling class and the descendants of the Lao and Cambodian people who make up the majority of the population in all areas of Thailand excluding Bangkok. Thailand only became “Thailand” in 1939. 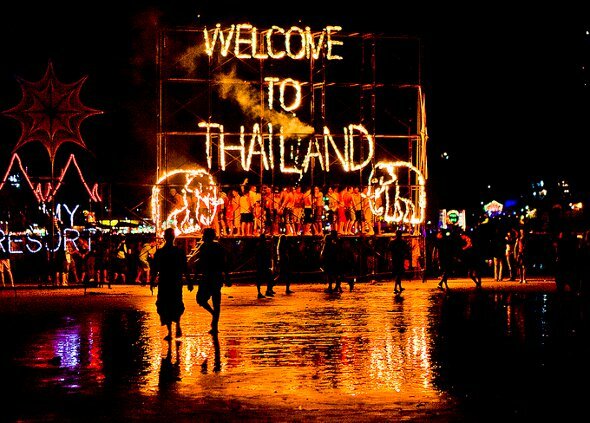 The north-east of Thailand, known homogeneously as Isaan or Esaan is the poorest region of Thailand and most people you will meet working in Bangkok, particularly in the service industry, factories or prostitution are from this area. The gap between the wealthy and the poor is large. There seems to be no middle ground in Thailand. There are slum dwellings around almost every corner in Bangkok. Hidden away next to a smelly canal or next to the railway lines there is a world of poverty rarely seen in the west. To the people living there an apartment that costs 8,000 baht a month would seem a palace by comparison and many of those who have come to Bangkok to make money by any means possible live in circumstances better suited to a monk, or a rat. 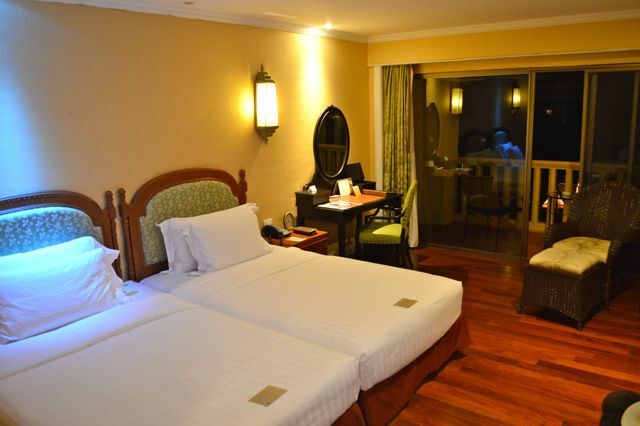 Apartments can be had for 2,000 baht or 40.00 quid a month. They have no air conditioning or hot water but probably include a fan in the price of the rent. Bangkok is home to lots of super rich Thai/Chinese people who are generally whiter skinned and have some university education. Theirs is the world of expensive motor cars and a lifestyle that emulates what they perceive to be western. This often includes maids, nannies and property, lots of property. They would not be seen dead in most places habituated by foreigners and their arrogance is often palpable. They are not the friendly, smiling people of Thailand you may have seen in the tourist publicity. There does seem a sense in which some people believe that living like a local offers them a way of assuaging their white guilt. Lots of white people seem to desire to be anything but white. I believe the search for and obsession with ethnic clothes, food and culture demonstrates this. That is not a criticism. It is easy to feel uncomfortable when witnessing the way that the majority of Thai people live in comparison to even the less affluent people from the west. Kao San road is a great example of this neo-hippie approach to life. Wearing Thai fisherman’s pants and eating at the cheapest places possible are not activities that the average Thai aspires to and they are dumbfounded by the white, middle class kids from the west who do so. 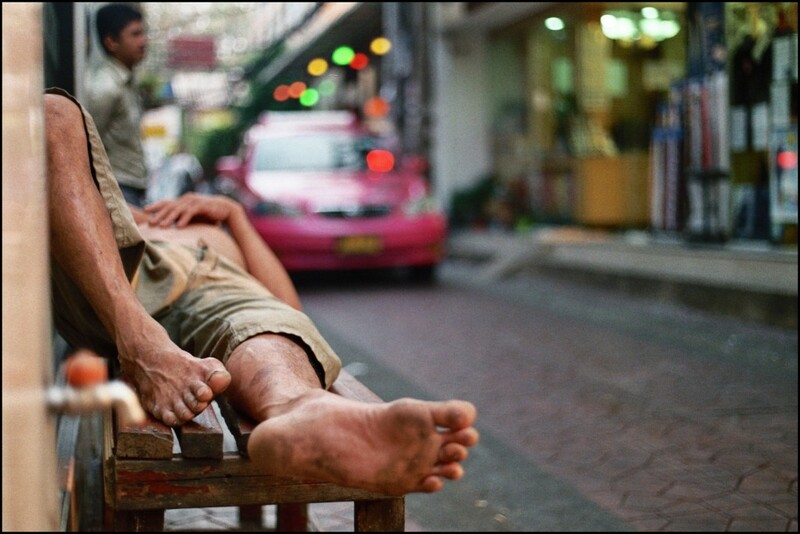 The aim of the poor Thai is to escape poverty, not emulate it. One can live cheaply anywhere in the world but what makes the experience more pleasant for the foreigner here in Thailand is the cheap transport systems, cheap accommodation and the weather. Britain has some beautiful places to visit but unless you live in the heart of the countryside the chances are it will be expensive to get there. One needs a car. In Bangkok the white-faced Thai/Chinese believe they need a car but as a status symbol rather than an efficient form of transport. Living here affords one the opportunity to travel from Bangkok to lots of beautiful islands and forests very cheaply. Bangkok is loved by some and hated by just as many but it is a great place to explore and it’s possible to live, if not like a Thai, then like a wealthier version of your western self. Why come here to live as cheaply as possible. Anyone who has gone without can tell you that a lack of food and ready cash does not make a person more in touch with his or her spirituality and anyway, Thailand is definitely not the place to take that kind of thing too seriously. 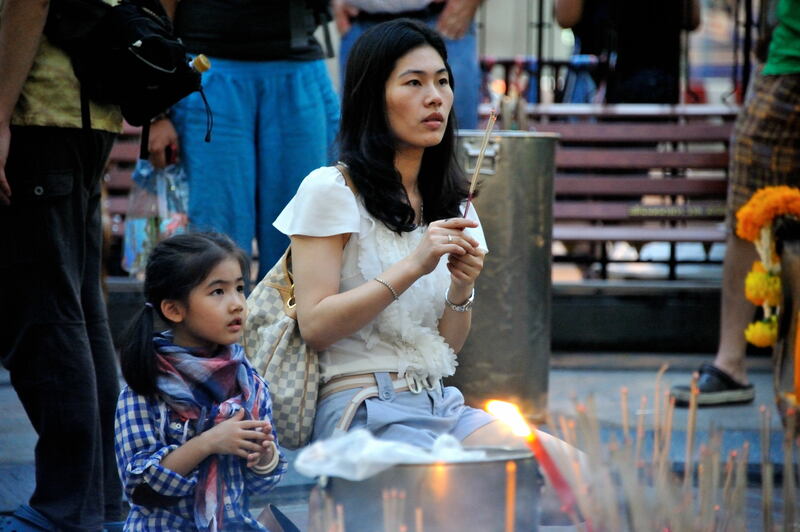 Thais may go to the temple a lot but they are usually praying for Mercedes Benz. An interesting and thought provoking commentary on two contrasting cultures and societies. I also got the sense that you could be at ease in either. Nice on Dave. I am glad you were able to take Annie to England. It was probably a good experience for her. I am guessing your fears were unfounded, doubtful anyone even noticed that Annie was a ladyboy or cared if they did. Annie loved the North as do I, particularly Edinburgh. We had no issues with anyone except, ironically, a member of my own family but we did not go to places where we may have encountered any drunk people ha ha. Lots of people recognised us from the series and were very friendly. We had a great, but expensive, trip! Hallo David and Annie – I came across your website and at first didn’t realise it was yours until I saw the photos and recognised you both from the TV programme. An old repeat of it came on this evening and I recalled how impressed I was with Yollada Suanyot, so I looked her up and eventually stumbled across your article. I enjoyed it and the comparisons you made very much. It was quite an eye opener to read a comparison and appraisal of both countries from an Englishman’s point of view. I spent a lot of time in Singapore last year and also made similar evaluations and observations, with the main exception being that of finance. Singapore is unbelievably expensive, albeit lovely – and hot!, – but the way of life has similarities, including the pale skinned nouveau and not so nouveau riche. Anyway, pleased I came across you and wish you all the best. Look forward to reading more. Hi Linda,Glad you got something out of the article. It was an interesting comparison to witness and there were lots of things I had forgotten about England! Annie loved the north and the countryside. She asked me if she could play with the lambs, having never seen them before! I replied, ‘If you can catch one, be my guest”!